In a report entitled “The History of a Lawsuit in the Republic of Ecuador”, dedicated to the House of Commons of Great Britain and Ireland, a British gentleman narrated his experience in Ecuador after filing a lawsuit in 1860. He affirmed that “an ordinary suit baffles all calculation, and not unfrequently exceeds the natural term of a man’s life” and that “the corrupt administration of justice is proverbial”. Unfortunately, despite that more than 150 years have passed, these criticisms are still heard today. The Chevron Saga is acquainted with the above accusations and certainly represents some of the most notorious and important cases that the world has witnessed. These involve litigations in multiple jurisdictions, investment arbitrations (Chevron I and Chevron II) and an Inter-State arbitration between Ecuador and the United States of America. From domestic law to international law of foreign investment, the courts and arbitral tribunals involved have addressed several legal issues and almost all the possible complexities that adjudicative proceedings could see. Similarly, its protagonists include indigenous people, states, professionals, aliens (i.e. foreign investors), and even a ghost(writer). Additionally, some of them have worn different hats in diverse but related proceedings, sometimes as plaintiffs, defendants, or as third parties. Today, the Constitutional Court of Ecuador is the principal character. As the highest body of constitutional control, interpretation and administration of justice in Ecuador, the Constitutional Court must render a critical judgment. This sentence will give rise to a new chapter in the ongoing international proceedings and will certainly have a significant influence in the allegations of denial of justice made against Ecuador in Chevron II. The question that arises, however, is whether the Court’s ruling would either represent Ecuador’s redemption or the final configuration of its international responsibility. Forum non conveniens, environmental damages and fraud. These issues could broadly summarize the main discussions that originated and that subsequently were litigated before the Ecuadorian courts and abroad. On November 3, 1993, the class action lawsuit that started the Chevron Saga was filed in the United States District Court For the Southern District of New York (the Aguinda Litigation). The plaintiffs sought compensation for damages, yet the case was dismissed on forum non conveniens grounds. In 2002, the Second Circuit Court of Appeals confirmed the decision to dismiss the litigation and, in 2003, Chevron was sued in Lago Agrio, Ecuador (the Lago Agrio Litigation). The first instance judgment was issued on February 14, 2011, ordering Chevron to pay more than US$18.2 billion, including punitive damages (the Lago Agrio Judgment). On January 3, 2012, the appellate court affirmed the Lago Agrio Judgment. Later, Chevron filed a cassation recourse on January 20, 2012, and in November 12, 2013, the National Court of Ecuador revoked the punitive damages granted as these are not recognized by Ecuadorian law, though it ratified the rest of the inferior judgments. Consequently, Chevron filed an Extraordinary Action of Protection (EAP) on December 23, 2013. Under this special constitutional action, a person can challenge judgments in which there have been violations of constitutional rights and, therefore, allows the Constitutional Court to review such judgments on points of constitutional law. Chevron argued that the National Court, through its judgment, violated several constitutional rights (namely, due process rights, legal certainty, the right to defense, to submit and challenge evidence, proportionality, and others). Accordingly, Chevron asked the Constitutional Court: (i) to declare that the cassation judgment has violated its constitutional rights; (ii) to order the integral reparation of its rights, which would imply that the cassation judgment would be left with no effect; and, (iii) to reverse the process to the moment when the earliest violation of Chevron’s constitutional rights took place. On March 20, 2014, the EAP was admitted and on October 1st, 2015, the Constitutional Judge assigned to write the draft judgment sent it to the Plenary of the Court for its approval. Ecuadorian law establishes that the Court should issue its judgment within 30 days of receiving the EAP file, nevertheless the Court has interpreted this to mean that this period is counted from when the draft judgment has been included in the Plenary’s agenda, which has not happened yet. The content of the draft is confidential, yet once approved it will be public and not subject to any appeal whatsoever. Whilst the Lago Agrio Litigation was in process, Chevron Corporation and Texaco Petroleum Corporation (Chevron and Texaco) started two investment arbitrations against Ecuador. The former is concluded and the latter is still pending. In Chevron I, the Arbitral Tribunal found that Ecuador breached the Ecuador-United States Bilateral Investment Treaty (Ecuador-US BIT). Specifically, the Tribunal established in its final award that Ecuador breached Article II(7) of the Ecuador-US BIT through the undue delay of its courts and held it was liable for damages for more than US$96 million. On the other hand, in Chevron II, Chevron and Texaco requested the Tribunal to declare, inter alia, that Ecuador breached the Ecuador-US BIT, including its obligations to afford fair and equitable treatment, full protection and security, effective means of enforcing rights, non-arbitrary treatment, non-discriminatory treatment, and to observe obligations it entered into under investment agreements. Afterwards, in a Supplemental Memorial on the Merits, Chevron and Texaco added a claim for denial of justice under customary international law. Likewise, in 2011, Chevron brought an action under the Racketeer Influenced and Corrupt Organizations Act against, amongst others, Steven Donziger, the plaintiff’s counsel in the Lago Agrio Litigation. Chevron asserted that the Lago Agrio Judgment was procured by fraud and sought to prevent any of them from profiting from the alleged fraud or from seeking to enforce the Judgment in the United States. On March 4, 2014, District Judge Lewis Kaplan concluded that the Judgment was obtained by corrupt means and prevented the defendants from benefitting from it in any way. Then, on August 8, 2016, the Second Circuit affirmed Judge Kaplan’s judgment, but did not invalidate the Lago Agrio Judgment. On August 26, 2016, Chevron II’s Tribunal, in its Procedural Order No. 45, admitted the judgment of the Second Circuit to the arbitration proceedings, confirmed that the evidence adduced before the District Court would be treated as evidence in the arbitration, and requested the parties to submit a copy of an amicus brief submitted by Ecuador in the Second Circuit proceedings. Similarly, the Constitutional Court’s ruling is undoubtedly going to be a fundamental piece in the denial of justice claim pursued in Chevron II. Ecuador maintains that Chevron has not exhausted the domestic remedies available, thus the denial of justice claim is futile. Conversely, supporting Chevron and Texaco’s arguments, Professor Jan Paulsson provided an opinion seconding the opposite. Paulsson affirms that a denial of justice would be a breach of the fair and equitable treatment standard and a breach of customary international law, both covered under Article II(3)(a) of the Ecuador-US BIT. Additionally, Paulsson notes that Article II(7) of the BIT establishes that Ecuador shall provide “effective means of asserting claims and enforcing rights with respect to investment, investment agreements, and investment authorizations”, the cornerstone of Chevron I award. He considers that, if Chevron’s factual allegations are true, the threshold test for denial of justice would have been crossed. Finally, regarding the exhaustion of local remedies, Paulsson states that this rule is intended to permit states to amend a breach of the international standards. However, this does not undermine a claim of denial of justice—and therefore exhaustion is not needed—when these “offer no reasonable possibility of effective redress”. An Ecuadorian Torpedo: Redemption or Doom? Chevron II is founded on allegations of fraud and corruption, mirrored in the other forums of the Saga. Currently, Chevron’s EAP may represent an Ecuadorian torpedo, in the sense that it could either undermine or consolidate Ecuador’s transgressions of international law standards and its wrongful administration of justice. The EAP does not exactly amount to an abuse of the lis pendens rule as in an Italian torpedo. Still, the constitutional proceedings could be an example of inefficiency in the Ecuadorian domestic dispute resolution system. The Constitutional Court‘s ruling could represent a final opportunity to redress violations of constitutional rights, as well as breaches of international standards of protection. However, even if such redress is granted, Ecuador faces the roughest of accusations: corruption. The Ecuadorian courts have not been exempt from accusations of being politicized or interventionist. Moreover, Ecuador has demonized the international investment regime and investment arbitration. However, access to international arbitration does not and should not exclude the existence of reliable domestic courts that can offer effective redress and justice. The final decisions are pending, yet the Chevron Saga is already a lesson to the world on the challenges of dispute resolution and the transnational effects of fraud. The crude reality is that a judgment tainted by fraud is as desirable as never ending proceedings. Recalling Judge Kaplan’s conclusions, the Chevron Saga represents a case where “the course of justice was perverted” and, even if the original cause was just, it has been entirely diluted, demonstrating that environmental damages are as toxic as corruption. *Some hyperlink-sources are not translated in English. 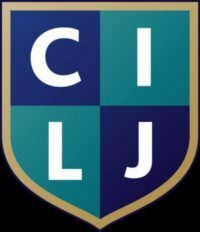 For inquiries, please contact the CILJ Blog editors or the author.